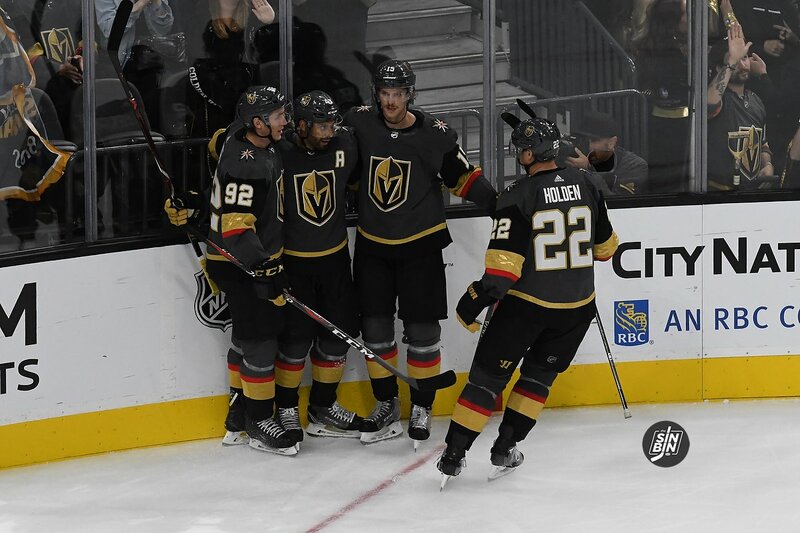 The Golden Knights are now 1-3-0 in their first four games of the season. Two points in four games is not going to make anyone happy. However, there is a bit of a sense that Vegas has been playing a little better than the scores have indicated at times. Specifically, last night in Washington, the Golden Knights created plenty of goal scoring chances and got bit by the post a few times. To me, it was a well-played game for Vegas on the road against the best team in hockey. On most nights, especially at home, that level of play will win games, even with the few mistakes that were made. One Golden Knight and the Jack Adams award winner agree. However, that sentiment was not shared by everyone in the locker room. It’s hard to read those four quotes in succession and believe they are all talking about the same game, a 5-2 defeat on the road. Usually this team is on the same page following a win or loss. They tend to talk about the same team concepts following wins or losses, but last night that was off. That’s not to say either side is incorrect, but usually there’s not this type of stark contrast in answers from the Golden Knights. Either way, this team has got to find a way to get back on the same page, and quickly. Luckily, there’s another game tonight, so there won’t be much time spent watching film from what went down on Wednesday. The easiest way back on track is to play a complete game and throttle the Penguins in Pittsburgh. Then everyone will be on the same page for sure, but if they don’t, and especially if they lose, this type of divide is certainly something to keep an eye (or ear) on as the young season continues to roll on. Wouldn’t say it’s an issue at all right now, but if conflicting answers happen frequently, it’s not a good sign. theodore, no 27, no 5 , carpenter (no 40), and haula (56) had terrible games, or pivital turning points in game that cost the team on the scoreboard. Some of the aforementioned, contributed, to more than one turn of events.